Last weekend, artist Dan Spiegle passed away at the age of 96. You probably remember him from his run on Blackhawk, or DNAgents/Crossfire, or his westerns, or his wonderful Gold Key comics… the list goes on and on. Marie Spiegle, Dan’s widow, asks that in lieu of flowers, fans are encouraged to make a contribution in his name to the “Carpinteria Valley Historical Society” and mail it to them at 956 Maple Ave., Carpinteria, California 93013. 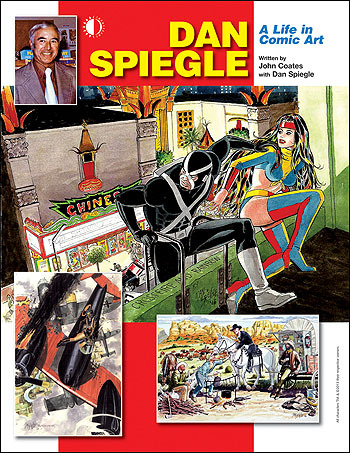 Our aforementioned Dan Spiegle: A Life In Comic Art book has been sold out for a while, and the few dinged-up copies we had left sold out last year almost as soon as they were made available. Ironically, we just discovered that Diamond still has a few stashed in their warehouses. If you never picked up this great look at Dan’s life and career, this is probably your last shot. Either order it directly from TwoMorrows at THIS LINK, or ask your local comics shop to get it from Diamond using Diamond Order Code MAR131309. This entry was posted in TNT on 31 January 2017 by Mr. Morrow. The new Diamond Previews catalog accidentally ran the incorrect cover art for Comic Book Creator #15, so we’re cancelling that listing to avoid confusion. 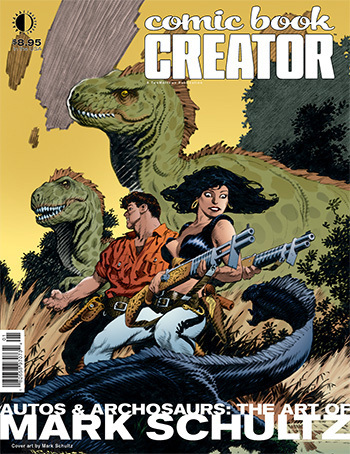 CBC #15, the MARK SCHULTZ issue, will be relisted in next month’s Previews catalog, or you can pre-order it directly from TwoMorrows HERE! This entry was posted in TNT on 27 January 2017 by Mr. Morrow. Another one bites the dust: Alter Ego #141 is now sold out! Don’t say we didn’t warn you! 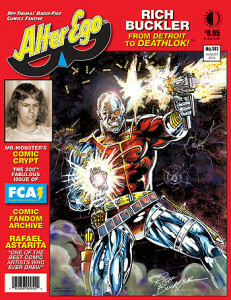 ALTER EGO #141 just SOLD OUT in print form at TwoMorrows! 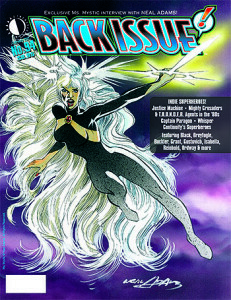 Just like Back Issue #88 and #89 (and soon, #90), our distributor finally allowing us to re-list magazines in Previews means our stock gets depleted just a few months after a new issue is released. If you missed it, ask your local comics shop to order through Diamond ASAP! This entry was posted in TNT on 20 January 2017 by Mr. Morrow. Get the MODERN MASTERS Bundle (17 books for $5 each, plus two free bonuses)! Start 2017 with a bundle of 17 MODERN MASTERS books for $5 each, plus a bonus book and DVD while they last! This offer is good for online orders only of the full bundle (no substitutions), placed through February 1, so go to www.twomorrows.com and click on the banner at the top of the page to order! This entry was posted in TNT on 19 January 2017 by Mr. Morrow. Beat the 2017 BrickJournal price increase! 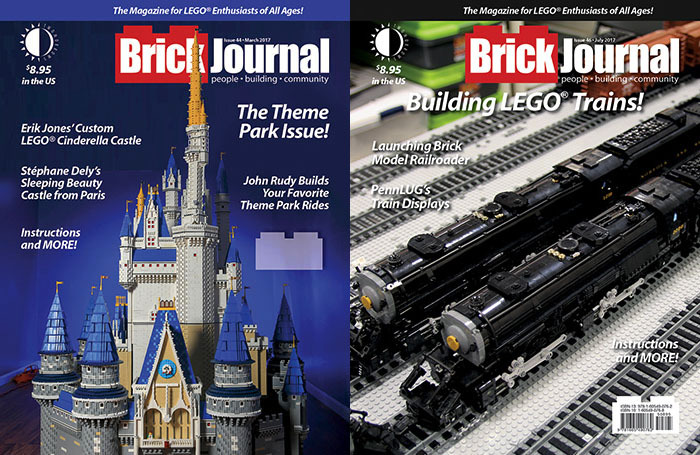 Subscribe to BrickJournal by January 31 and save $10 per year (back to 2015 prices) on the magazine for LEGO® enthusiasts of all ages! 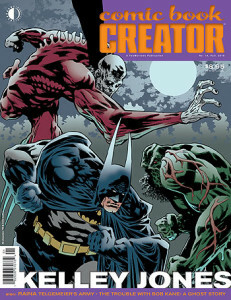 COMIC BOOK CREATOR #14 spotlights the incomparable KELLEY JONES! From the early years as inker at Marvel Comics to his rise to present-day greatness at DC depicting BATMAN, DEADMAN, and SWAMP THING (all featured on our horrific cover), the artist receives his due in a massively comprehensive interview with Peter Quinones, in a feature also chockful of rarely-seen artwork! Plus Will Murray examines the nefarious legacy of BATMAN co-creator BOB KANE in a feature-length investigation into tragic ghosts and rapacious greed. We also look at RAINA TELGEMEIER and her magnificent army of devotees courtesy of Eti Berland. And, rounding out our spook-tacular special, we include columns by our superb contributors, including the hilarious HEMBECK! You can order it HERE! Both issues are in stores now, and is shipping directly from TwoMorrows Publishing. NOTE: COMIC BOOK CREATOR #3 is now SOLD OUT in print form! Those Neal Adams covers go fast, so don’t delay ordering either of these new issues, or you risk missing out!